Please send us your registration in participating in the event. After registration, we will send you a confirmation and an invoice for payment. Complementary: A few complimentary passes for Internal Professionals are available on a first come basis from our partners/sponsors may be available to Board members, CEO, CxO and other Ethics, Governance, Risk Management, Compliance, IT-Security and HR professionals from end-users companies and other qualifying buy side firms. Send us an email, and we will forward your request to our partners/sponsors. The conference participation is flexible. You can join for the 1-day conference, one day ½ day or each of the four modules separately. * Please note that fees do not include Danish VAT @ 25%. The amount will be added to the total price when you are invoiced. EU delegates can write their VAT/SE/Company number on the registration form to avoid the Danish VAT in some cases. Group discounts are available when registering multiple delegates on the same booking. Every third participant is free. We realise the importance of including everybody in the knowledge sharing, need for guidance, networking and participating in discussions at our events. We will always do our best to ensure that nobody is excluded due to not being able to afford the conference fee, send us an email with your request and we will discuss it with the conference partners. (Valid only for end users). Consultants, vendors, auditors, lawyers, and related non-end users will pay the full conference fee. If you are invited by our partners, sponsors or speakers and do not participate without cancelling two days before the conference or sending a substitute, there will be a no show charge of 3,000 DKK or 400€ + VAT. Note: If you have any difficulties in registering (due to firewall restrictions), please send us an email info@copenhagencompliance.com. 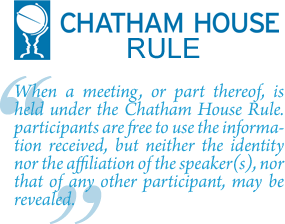 We believe that networking is an essential part of a Copenhagen Compliance (R) Conference and therefore we will provide social settings where participants have a chance to network with other delegates on a professional and social level. IT and Data Consultants and project managers that participate in GDPR projects.